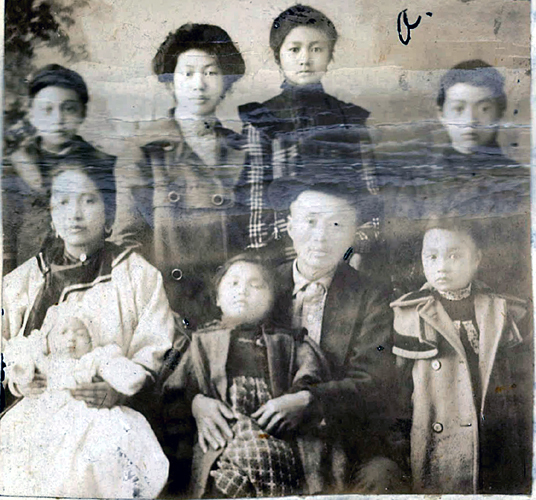 “Photos See Jan (Ah Yen), Ah Gooey family and Judge Joe A. Kuhn” 1903, Chinese Exclusion Act case files, RG 85, National Archives-Seattle, See Jan case file, Seattle RS Box 37, file RS 1392. Ah Gooey and Kee Toy’s children were Ah Lun, Ah Yen, Ah Len, Suie Yen, Fung King, Fung Sing, all born in Port Ludlow and a daughter, Fung Gall, born in Irondale, Jefferson County, Washington. The three eldest children attended public school in Port Ludlow. They could read, write and speak English. Ah Gooey was a steward at the Puget Mill Company’s cook house in Port Ludlow and had a brother, Ah Loy, living nearby. The following Chinese knew of Ah Yen’s birth in Port Ludlow: She Gon of the Zee Tai Co., Port Townsend, Washington; Eng Yee Tung and Ah Yow. Ah Yen knew the following white people in Port Ludlow: Louis Poole, Mrs. Charles Guptill, Mr. Charles Parks, Mr. James Wilson, and Mr. Walker. C. H. Hanford, Judge of the U.S. District Court, District of Washington issued a commission to Judge Kuhn to take their testimony and report back to him. H. Hallinger was their attorney. Louis Poole and Mrs. Charles Guptill were witnesses. 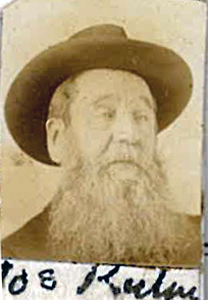 Louis Poole was 57 years old in 1903 and had resided in Port Ludlow for 38 years. He had known Ah Gooey since 1875. He testified that because he was in the mercantile business, he had seen Ah Gooey and his growing family almost daily as customers, especially the children who bought candy at his store. Mrs. Charles (Elthea S.) Guptill, age 60, a resident of Port Ludlow since 1873, was also a witness for Ah Gooey. She was present at the birth of his three oldest children. She saw all the children almost daily until they moved to Irondale in 1902. Ah Yen was born in Port Ludlow on 9 April 1888. His father, Ah Gooey, died in China in 1905. 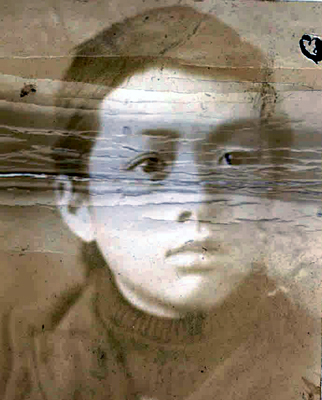 In June 1907 Yen (Ah Gong Yen) (married name See Jan) returned to Port Townsend, Washington by himself and was admitted to the United State after the court declared that he was a returning native-born Chinese person, son of Ah Gooey and Kee Toy.